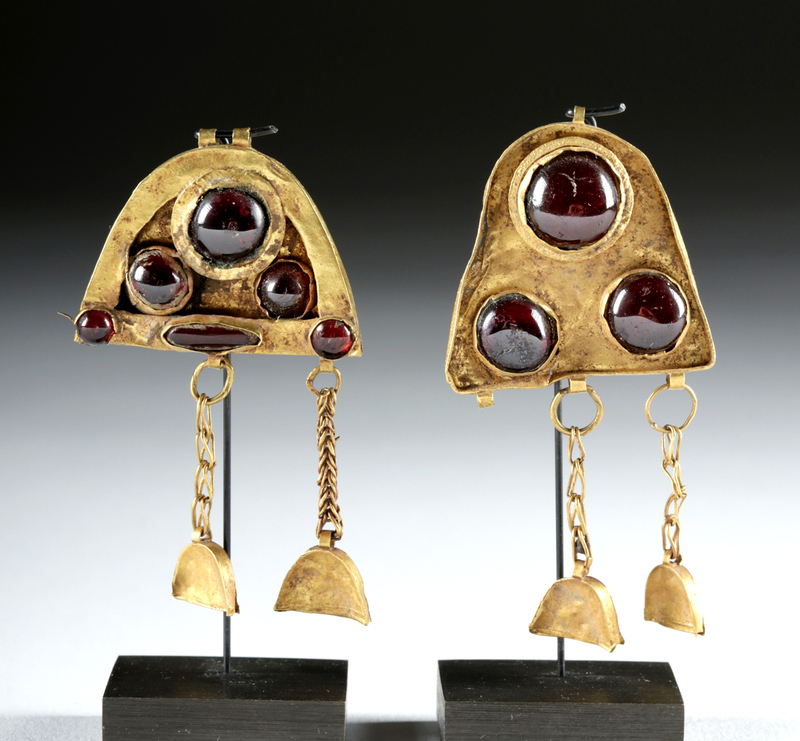 The people who lived in the steppes during this time period were a part of the Greek Hellenistic Empire, having been conquered by Alexander the Great; however, they retained their unique artistic tradition, part of which relied heavily on gold. 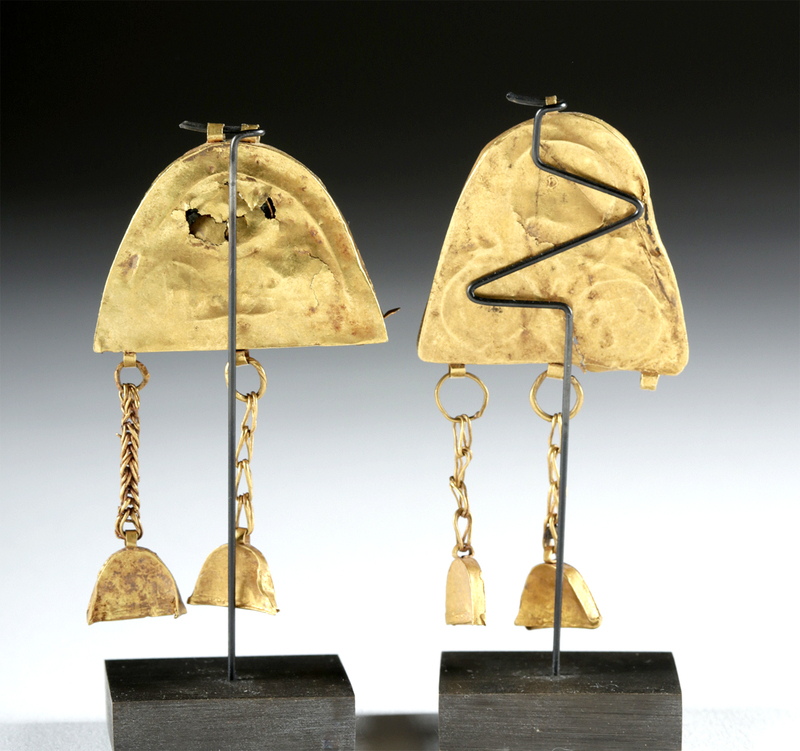 Archaeologists have found several burials from this period rich in gold jewelry similar to these beautiful earrings. 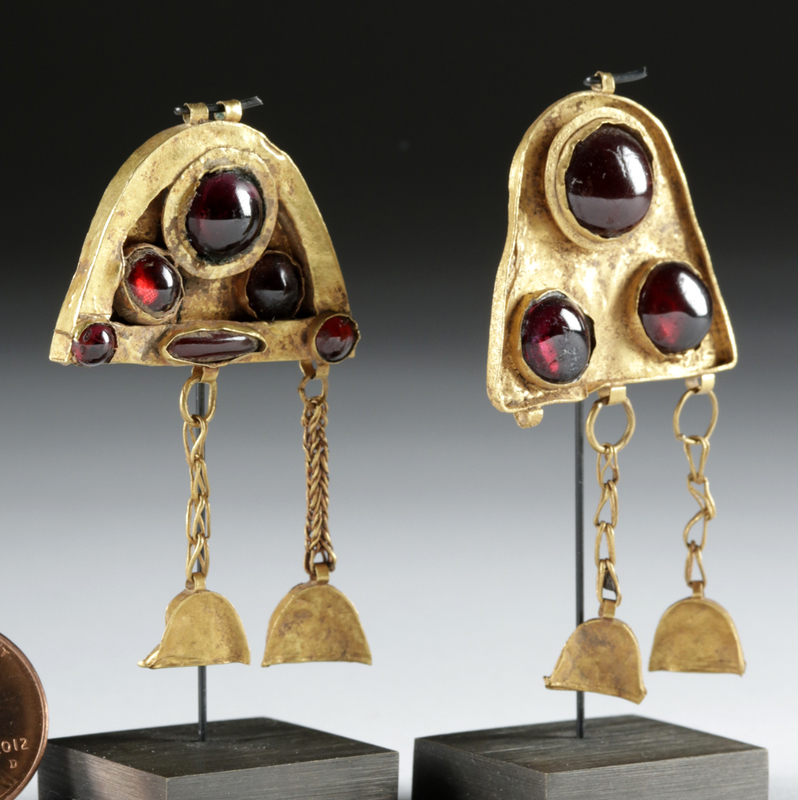 Condition: Garnets are original and intact. Each one is missing one of the three danglers. Slight perforations to gold back of one earring. 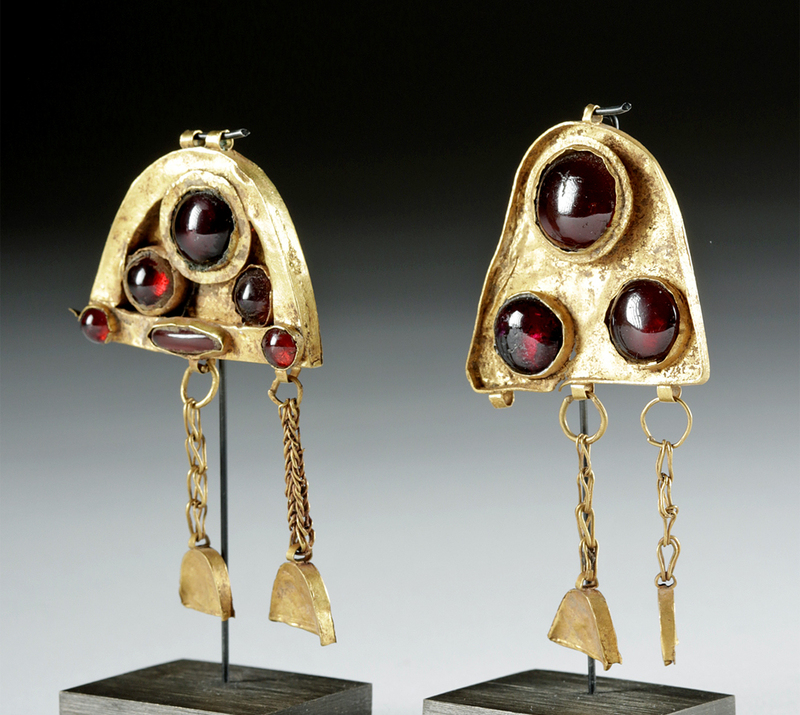 Though not wearable as is, a reputable jeweler may be able to fit with a modern setting to be wearable.